Down on the pebbled front, as the sun plunges into the sea and Brighton darkens, Concorde 2 swings open its doors and the excitement among an eager few is palpable as they saunter into the cavernous room. 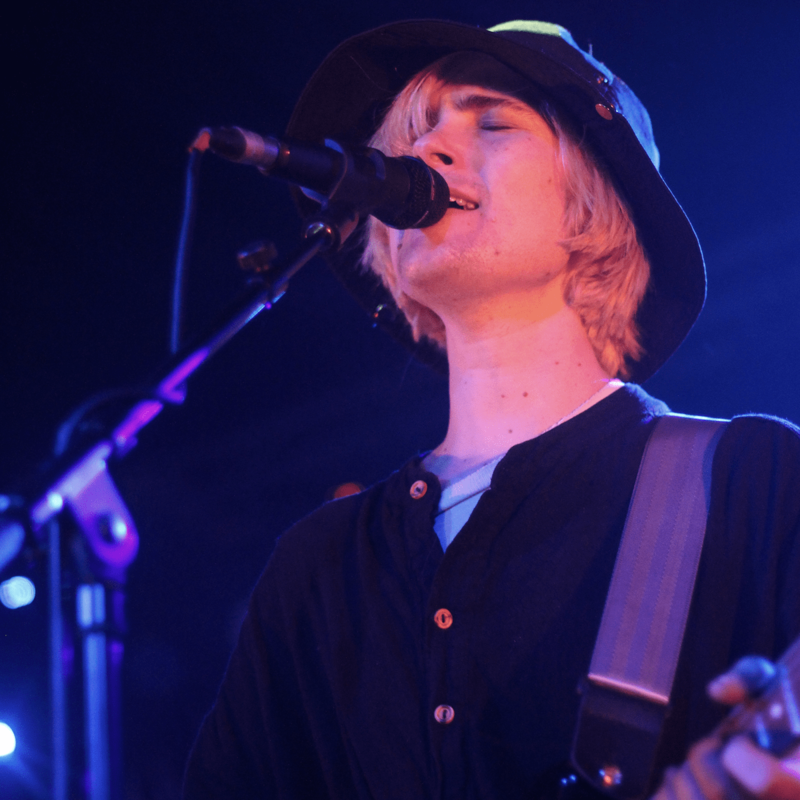 It’s been a long and winding road to get to this point, but after canning their March date and remaining tour citing an “urgent health issue”, Brooklyn’s DIIV are rejuvenated and now on Sussex soil as previously planned. Before they punch the clock, Bristol bruisers IDLES stoke the crowd with their brutal post-punk. Hypnotic, heavy and hot-tempered, the quintet are rousers from the get-go, channeling fellow visceral noisemakers Fucked Up and Les Savy Fav. In frontman Joe Talbot they have a captivating focus point and he cuts a static but menacing figure that’s at odds with his band mates, clenching the mic like a rival’s collar and bawling his way through ominous highlight ‘Divide & Conquer’. 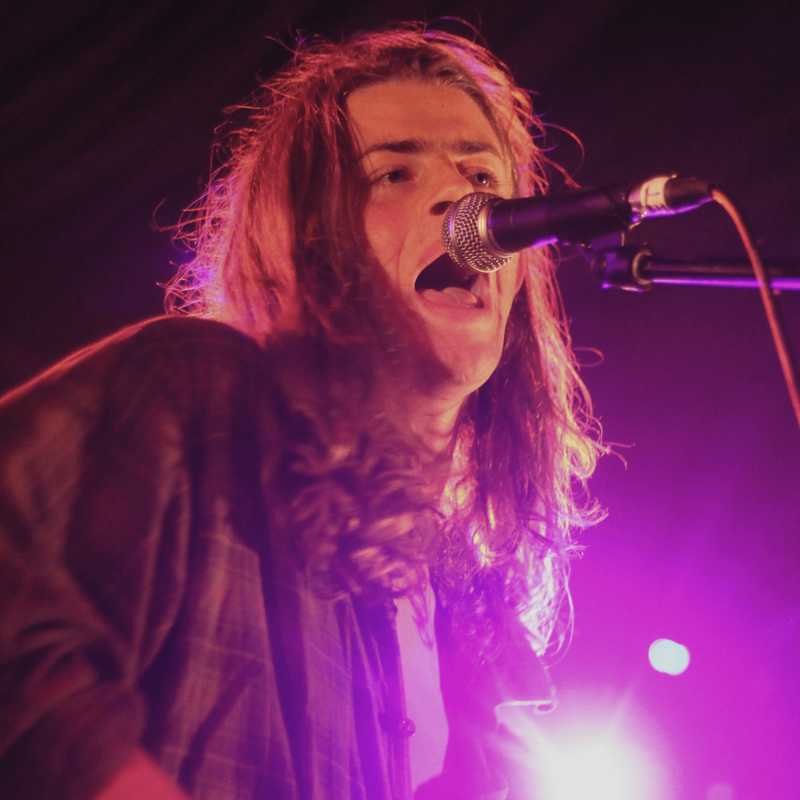 The skyscraping indie sound created by Blaenavon is a far cry from that of their provocative predecessors, but it is certainly no less emphatic. In fact, it’s an ineffable showcase from the outset and when singer Ben Gregory proclaims it to be the band’s finest hour there’s no dispute, with even a nasty-looking tumble off the stage failing to thwart his infectious commitment. Whereas their peers (and even genre torch-bearers Bombay Bicycle Club) are often meek and restrained in the flesh, the Hampshire trio are a powerhouse live: ‘Let’s Pray’ inspires the chaotic crowd to echo every word, ‘I Will Be The World’ is an aural avalanche and finale ‘Prague’ is electrifying, closing with a carnivalesque percussion outro that prompts Gregory to hurdle the barrier and surf on a sea of outstretched arms. The adulation continues when illusive Brooklynites DIIV who top tonight’s bill enter the fray. With so much hype around Zachary Cole Smith’s purported volatility, substance abuse and misdemeanours, his presence is a bewitching one, and he strolls into view wearing androgynous slippers and a fishing hat that makes him resemble Snufkin from the Moomins. Grainy images of New York City flicker in the background throughout their otherworldly stint, as DIIV‘s two album strong back catalogue unreels in a half-conscious haze. Chiming fog-pop epics (‘Under The Sun’) seep into bleary guitar twinklers (‘How Long Have You Known?’, ‘Dopamine’) and doom-laden nuggets of despair (‘Doused’), with some occasional words in between from Smith. Prior to the latter, he admits “I don’t think we’ve ever played successfully here” in reference to a whole host of jettisoned UK dates since 2012, pinning the most recent Brighton jaunt’s downfall on a turbulent spell of “the old shooty shooty”. Thankfully, tonight’s show makes up for their absence and finds them in rude health, with the lucid jangle of ‘Past Lives’ capping an atmospheric and immersive headline slot.